Come join us at the LeFrak Center at Lakeside in Prospect Park for a 90-minute introduction to the Winter Olympic sport of curling! You'll learn the rules of the game, how to deliver a stone, and how (and why) to sweep. We'll even have some simulated game play. We provide all the equipment -- you just need a clean pair of sneakers and warm clothing that will allow you to bend and stretch. Registration fee is $65 and is paid through this website after you sign up here. Ages 15 & up only. Under 18 must be accompanied by a participating adult. These sessions are for new curlers only. 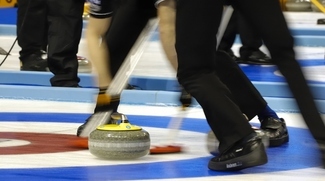 If you already know how to curl and would like to find out about our leagues, registration has begun. Please e-mail [email protected] for more information.